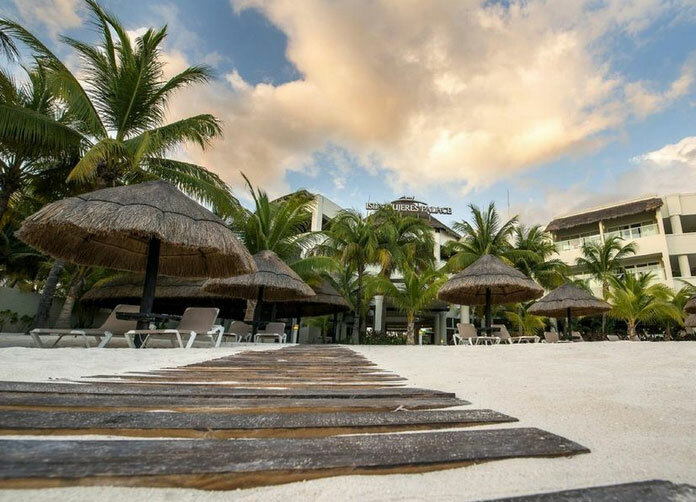 The Isla Mujeres Palace Resort is a 62 room All Inclusive Resort located towards the south point of the island close to the area of El Garrafon and just a few minutes walk to the lighthouse at the highest point of Quintana Roo. Here you can witness the breathtaking view across the ocean. 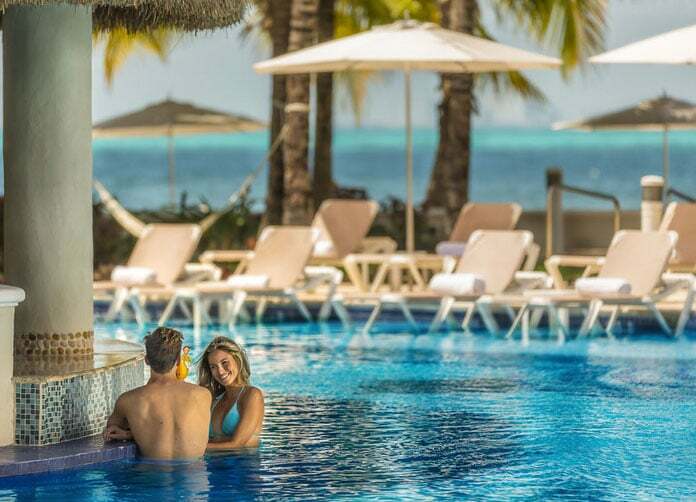 Palace resorts are famous throughout the Caribbean for their charm and luxury, and the Isla Mujeres Palace Resort is no exception. 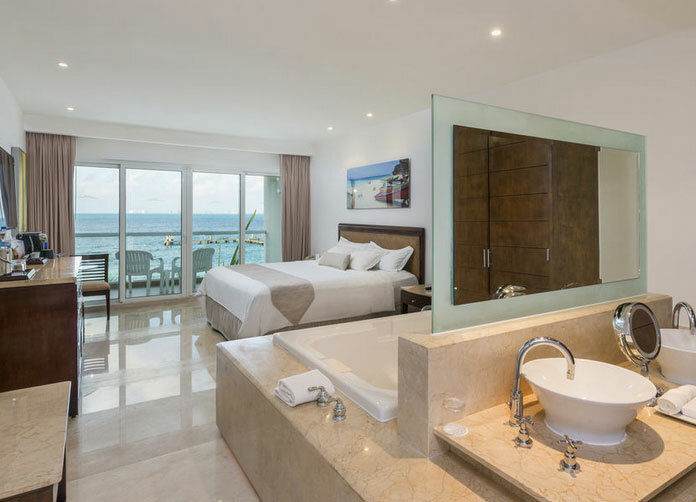 All rooms at the Isla Mujeres Palace Resort are equipped with flat panel TV and coffee maker, hairdryer iron and ironing board plus air conditioning. All rooms have balconies, bath robes and slippers are provided free of charge and in room mini bars dispense tequila, rum vodka and whisky with beer, soft drinks and water also available. Concierge level rooms sleep 2 adults with all other rooms sleeping up to 4 people. Deluxe Resort View. Provide a relaxing view of the hotel’s grounds and patio. Superior Deluxe. Same as Deluxe Resort but larger in size. Superior Deluxe Ocean View. As Superior Deluxe but with a view of the Caribbean. 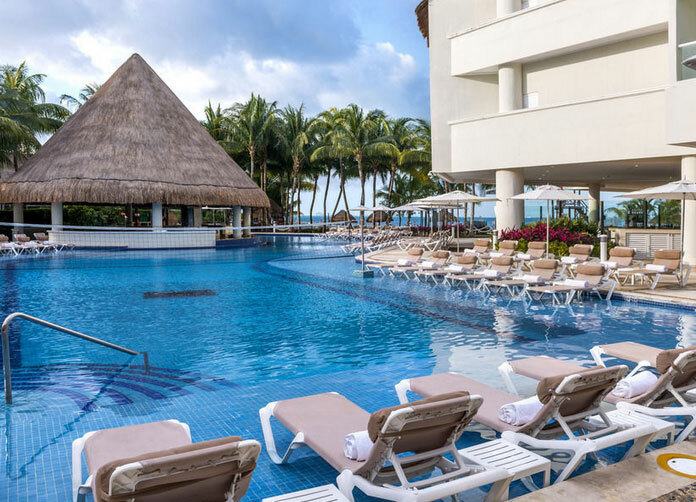 Concierge Level: Exclusive concierge phone service, exceptional rooms and all with Ocean View. Special room service menu and premium brands of liquor available 24 hours. Rooms have a Jacuzzi and a complimentary 25 minute massage for two is included. 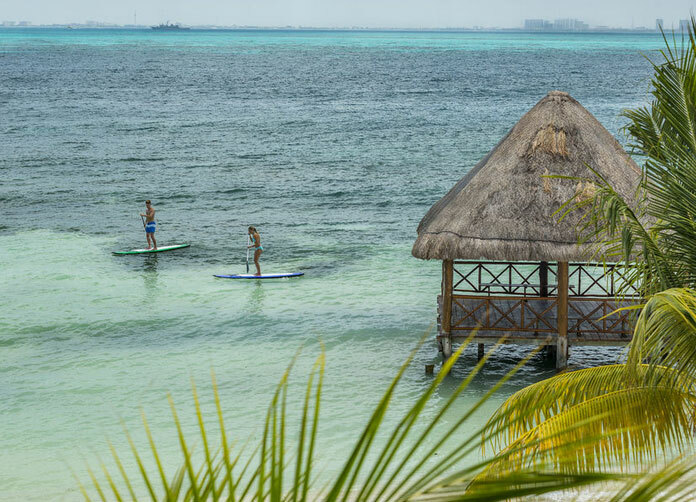 The Isla Mujeres Palace Resort includes all the amenities one would expect of a hotel of this stature. Wireless Internet, Doctor, Travel Agency ATM Machine, Money Exchange, Laundry, Jeweler Store, Gift Shop and Fitness Center are all available and the hotel is handicapped friendly. The All Inclusive includes all your food and drinks, non motorized water sports, snorkeling tour and around the island tour. Entertainment is provided throughout the day including volleyball and water activities led by the Entertainment crew. In the evenings night shows are provided for your pleasure. Room service is available 24 hours a day. 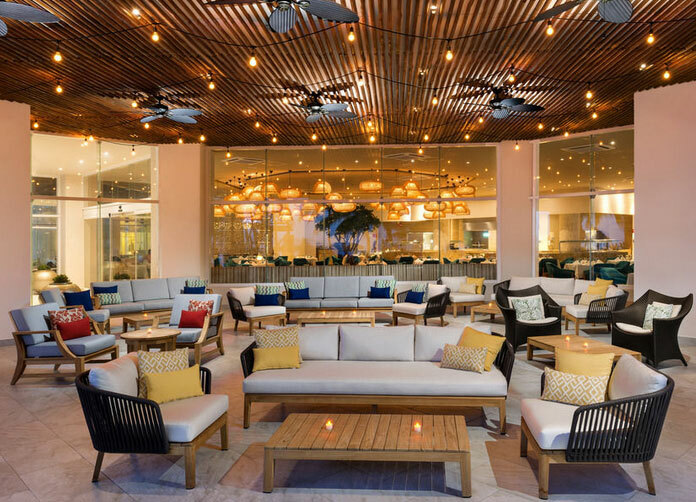 The Isla Mujeres Palace offers a range of bars and eating establishments, all of which are included with their all inclusive package. 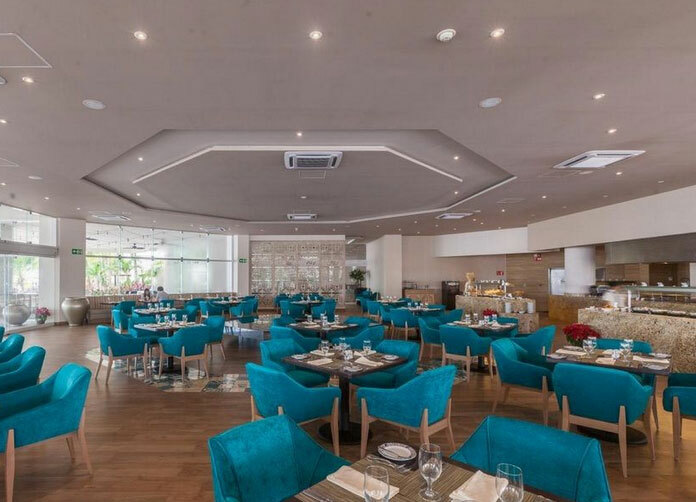 Azul Restaurant: Serving a buffet style breakfast and lunch with a la carte service Italian and Mexican specialties in the evenings for dinner. Lobby Bar: National and International drinks and deliciously yummy cocktails are available at the lobby bar. Snack Bar: Order mouth watering snacks and either eat in or have them delivered right to your pool lounger. Address: Carretera Garrafon km. 4.5. Isla Mujeres, Quintana Roo.